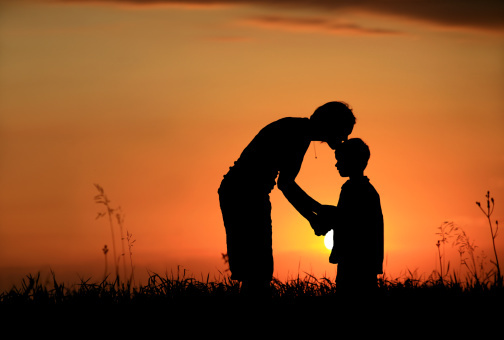 Raising Kids Who Care – Can Compassion Be Taught? For this Mothering Matters blog, I interviewed a mom of three children who has requested we keep her name anonymous. Question #1. What do you mean by raising kids who care? Care for what? Someone or something other than themselves? Compassionate? Volunteering? To be kind & considerate? To give back? What I mean by raising kids who care is raising them to be thoughtful and caring…that means raising kids to think about others before always thinking, doing and wanting everything for themselves. I believe that will create compassion, which leads to volunteering, giving back and enriching someone else’s life, whether that be a human or animal life. Question #2: Why is it important to you to raise kids who care? It is important to me because it’s my job. I brought children into this world. The world suffers a great deal of pain and suffering. Only kindness and compassion can heal this. I want to do my part to ensure my children contribute to the kindness and compassion – not the pain and suffering. Question #3: Tell me about your experience with your daughter and volunteering in an orphanage? How did that impact her? When I was a single mom, I took my 6-year old daughter to South America to volunteer in an orphanage for 5 weeks. Our job as volunteers was to just provide some love and interaction with the children. The government-paid workers provided their basic needs – food, clothing, shelter – but they never had an adult that truly cared for them. My daughter loved to hold and cuddle those babies. Even as a young child, my daughter understood the need for social interaction for those babies…their need to be loved by strangers because they didn’t have any one person who loved and truly cared for them. I had always felt a bit badly for my daughter because she didn’t have a father. He died when she was a baby. But when I got to the orphanage, I realized those kids had NOBODY. Whereas my daughter had me and grandparents and aunts and uncles and lots of family to love her. As a six-year-old, she saw that and realized how fortunate she was. She was very compassionate with those babies because she could see those children didn’t have anyone. Those babies just had their diapers changed and then were put back into their cribs. The babies wouldn’t even be held when they were being fed. They would just get a towel rolled up under them, to prop them up, and given a bottle. We would take those babies out of the cribs and give them their bottle. The nurses didn’t like that because it would spoil the babies and they would want more cuddling. But we did it anyway and I explained to my daughter why: because those babies needed the physical love and touch. Scientific studies have shown that infants benefit significantly from human touch and cuddling. So although those babies wouldn’t remember being held, they would still be the better for it. My daughter understood that. Question #4: How is this showing up in her life now, as a teenager? Now that she is a teenager, at times it appears to me – as the parent – that it is all about her. She is not motivated to help out at home and just wants to be with her friends. And yet she IS very compassionate with her friends. Many of her peers come to her when they are distressed. She has the compassionate ear they confide in. So even though she’s not volunteering right now, I think that will change. I think her early childhood experiences of volunteering has stuck with her and when she passes through the teenage years, she will do more of that. Question #5: How old are your sons? What are you doing with them to try and make them learn compassion? My sons are 7 and 9. Right now, with the boys we have sold some children’s books at trade shows and are donating all the profits to a charity. This was their idea. It came into discussion after reading a bedtime story about a child’s experience in a developing country who didn’t have food or parents. My sons felt badly about that, so we brainstormed a way to earn some money and then donating it. When we were at the trade show, we told people we were donating money to charity and the reasons why. Ronald McDonald House is our first charity – we chose that so that I can physically take the boys there and they can actually see the impact this has on the kids staying there. I also want my kids to see that it’s not just in developing countries where children need help. My heartstrings have always been pulled that way – to children in developing countries. But I want to show my kids the direct impact of their charity. By taking them to Ronald McDonald House, my kids will see children who have significant health issues – and I think that will help create compassion and gratitude for their healthy bodies and lifestyles. On that note, my mom always taught me she was thankful she had a capable and able body to DO work. It’s human nature for kids to complain because they have to do chores. And yet, I think it is important that my kids learn how lucky they are that they can physically do chores. Because a lot of children aren’t blessed with good health. In other words, I want my children to be thankful they have a healthy body to do the chores and jobs around our home and farm. I want to continue the valuable lesson that my mom taught me. Down the road, we’ll see how these book sales go. At some point, we also want to raise money for kids in a developing country then go there and donate those funds, so they can see that impact as well. Question #6: Do you think “caring” is something that can be taught? Or shown by example? Caring is something that needs to be taught by example. Words are easily forgotten. Actions are not. Actions leaves a lasting impression. a) what does this mean to you? To me, a sense of entitlement refers to when kids just expect everything to be done for them – and they don’t have to do anything in return. It’s the “me, me, me,” thinking. b) Why do you think this is? I think it is because as parents, we all want the best for our children. But I think that sometimes parents don’t realize that what is actually best for children is not giving them what they want. Sometimes saying no to kids is the best thing for them. I read the book, Me to We, by Craig Kielburger and Marc Kielburger, and it really resonated with me. I agree we need to change a lot in our society to make that shift from me to we. It starts in our small communities and in our homes. I’ve heard so many people say something to the effect of, “My Dad was too hard on me, so if my kid doesn’t want to do something, I don’t want to make them.” So then they go and do the exact opposite! But I don’t think that’s the answer. It doesn’t make sense because spoiling kids by giving them everything and not teaching them how to do chores, etc doesn’t work in terms of raising kids to be responsible adults. c) Why do you think it is a negative thing? Because teaching kids a sense of entitlement is not making our kids compassionate. It is not raising children to think of others and help others. It becomes more about wanting more for themselves. d) What are you doing as a parent to try and ensure your kids don’t have that sense of entitlement? We are not giving them everything they want. We say no to them sometimes. And we get them to do age-appropriate chores. We are teaching them the value of earning the right to their privileges. It concerns me there are so many parents working insanely hard to provide for their kids – and yet the kids don’t have to do anything in return. I’ve spent a lot of quality time with my kids and sometimes chores can be really fun! We’ve had some wonderful bonding moments teaching them how to do chores. This is especially true in the teen years. I have always wanted to be that fun parent that has a close relationship with my kids – and I do – but I feel frustrated because I’ve fought an awful lot with my teenager. She thinks we are strict, unreasonable parents for wanting her to help out at home. It’s made us not close in some ways…and I think part of that has come from her watching other kids not having to do any chores. I think if she’d been surrounded by kids who did have to help out, she wouldn’t have been so angry at us. Mind you, I do get compliments from my daughter’s supervisor on what a hard worker she is! So she does work hard…just not at home. And we get lots of compliments from people about how nice and polite and hard-working our children are. For example, at a recent work-session on our farm, all our kids were out there working their butts off and people were really impressed at the work our kids could do! I feel proud about that…and the kids do, too. e) So are you succeeding in helping ensure your kids don’t have a sense of entitlement? 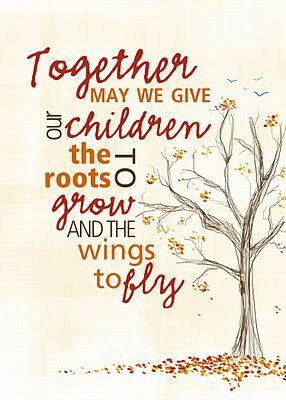 Like that old saying, I feel there are two gifts I can give to my children: one is roots and the other is wings. By teaching them compassion, saying no to them at times and having them help out with chores, we are showing them the value of earning their privileges…those are the roots. Then when they leave the house, those are their wings…what they do after that is out of my control. But if I have given them their roots, I know it will help them become kinder, more responsible people. Question #8: Anything else you would like to add? Yes. I just want to mention that I think we appreciate something more when we have done without it for a period of time. That’s partly why I think it is so important to say no to our kids sometimes. It is human nature to want more, more, more. So it is our job as parents to teach kids to appreciate what they already have….and that there is always something to be thankful for. I also feel that my job as a parent is to teach my children that helping others will help bring them happiness. In the Me to We book, they really touched on that message: that true happiness is helping others. 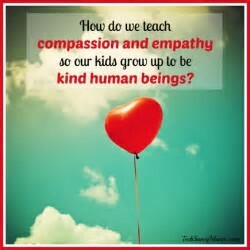 Teaching kids how to be kind and compassionate helps makes the world a better place and creates a more meaningful life for them.